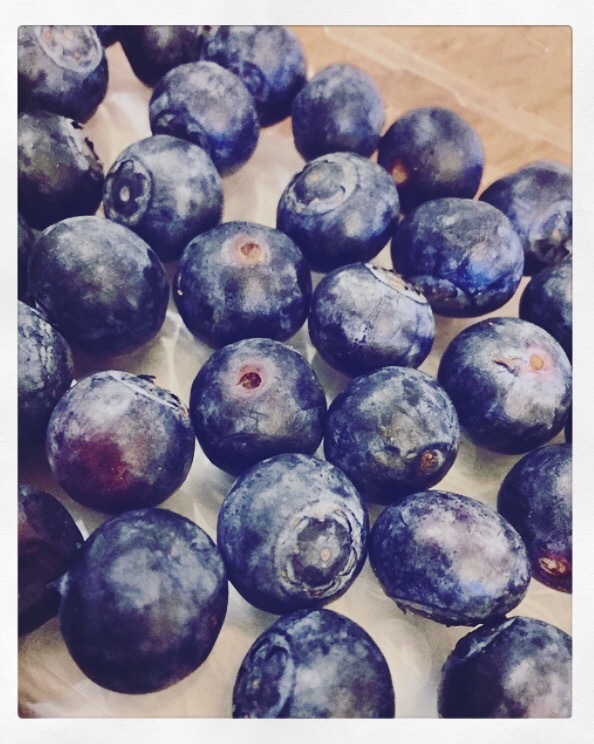 I enjoyed some fresh blueberries while creating. Fresh berries are really pricey here so we just get frozen ones for smoothies mostly. 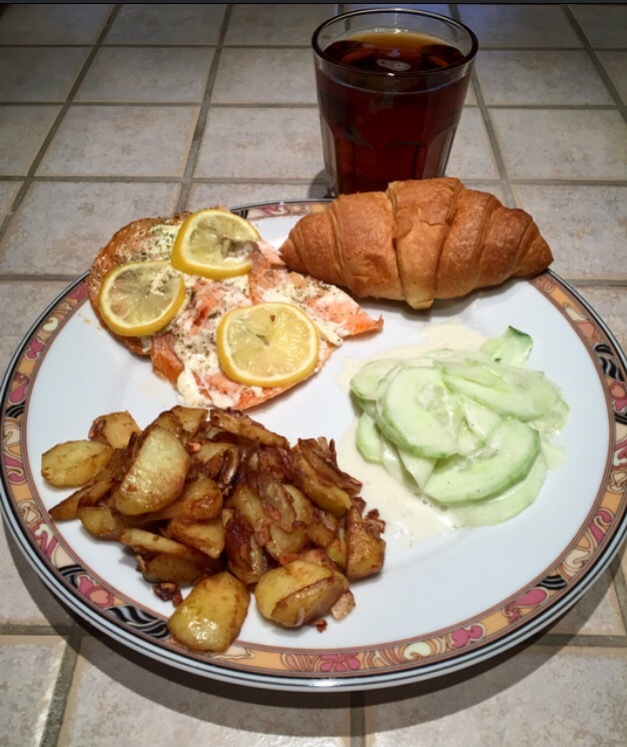 Salmon with cream cheese and lemon was the main feature for supper along with fried potatoes with onion soup mix seasoning, cucumbers and croissants. The salmon was actually smoked salmon, so it had the flavour and extra saltiness that didn’t mix well with the ingredients I had added. I of course start laughing and telling Mike how stupid would it be if humans randomly started chasing their arms in circles and he in turn shakes his head and is like “alright Jess”. Morning was spent chatting via messages back and forth with Michiel about plans for when the fam comes in April/May. Part of that plan includes me going for a massage and seeing if it’s any good so my mother or aunt could go and get one for some relaxation on their vacations. 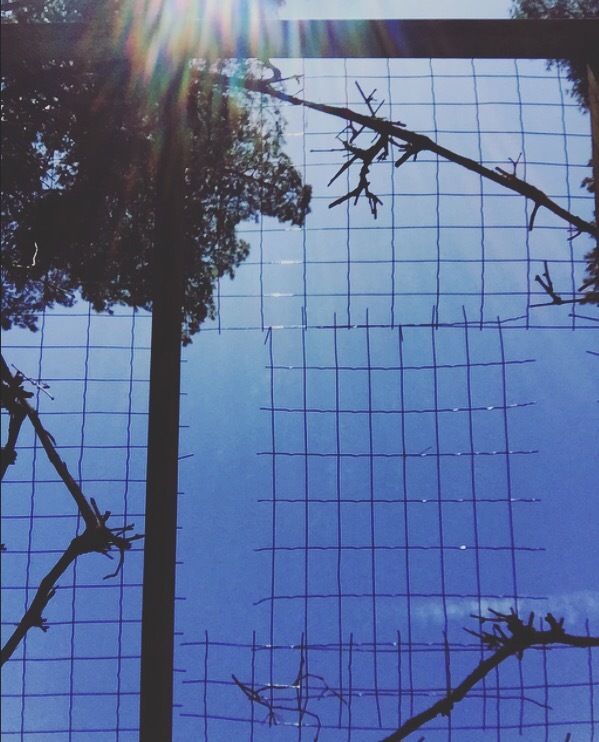 It was a sunny day so I decided it was time… I took a chair outside and sat. 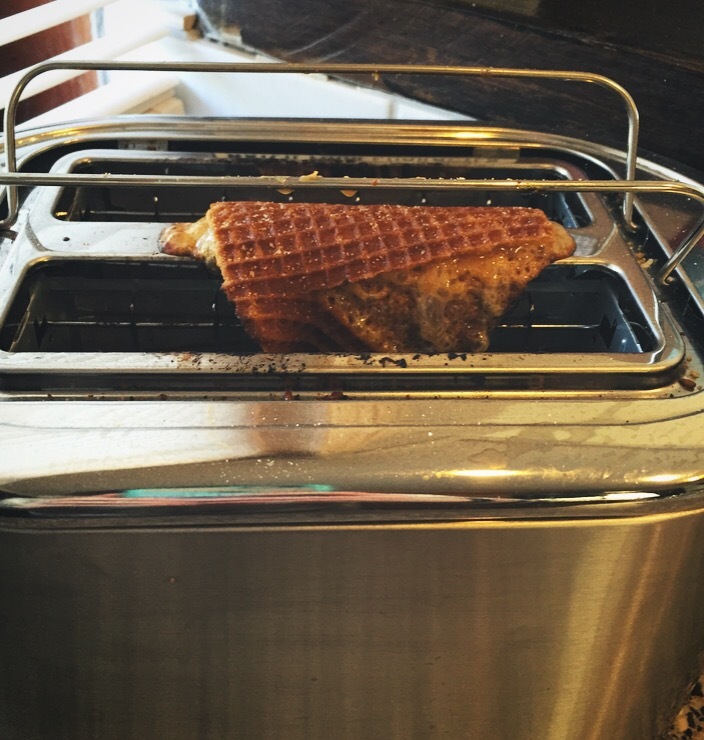 I was going to enjoy a warmed up stroopwafel but I got distracted doing the dishes, cause next thing I know I heard an odd crackling sound only to look at the toaster in panicked realization and see my forgotten cookie. I wanted to make up for the crappy supper the night before. Mike told me the rice should have soya sauce for the picture, I told him the smoothie shouldn’t be centred, he shown his phone flashlight to achieve better color, I told him to put his plate in the oven so it didn’t get cold while we took a photo of mine. He also made me take my cucumbers out of there bowl and put them right on the plate. There are some of you who may not know this next fact about me. I HATE having my food touching. I separate everything and make sure every different food has its own spot and I also eat my food one thing at a time. 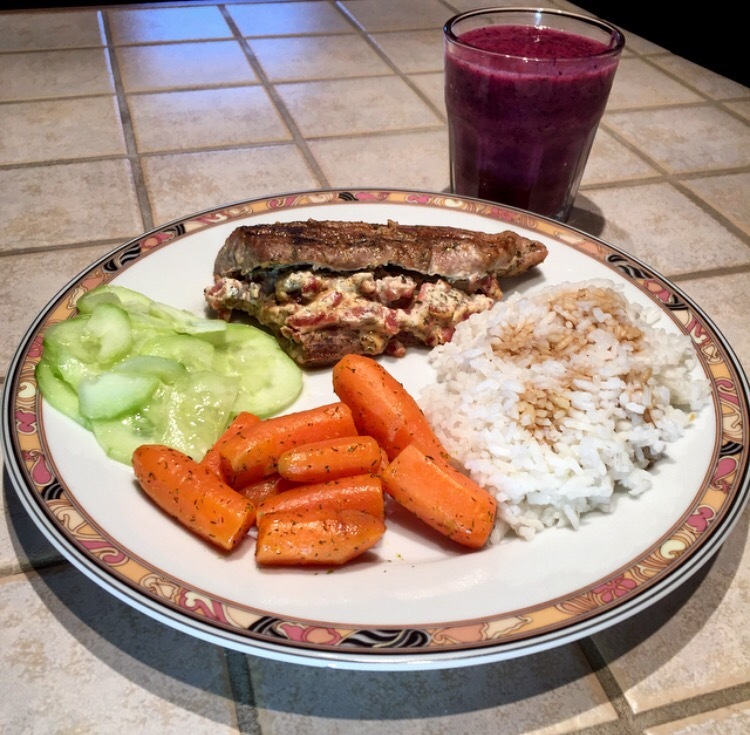 Example; first the carrots, then the rice, then the cucumbers and then the meat. Photo taken, we could finally eat and see if it was more pleasing than the previous nights supper.